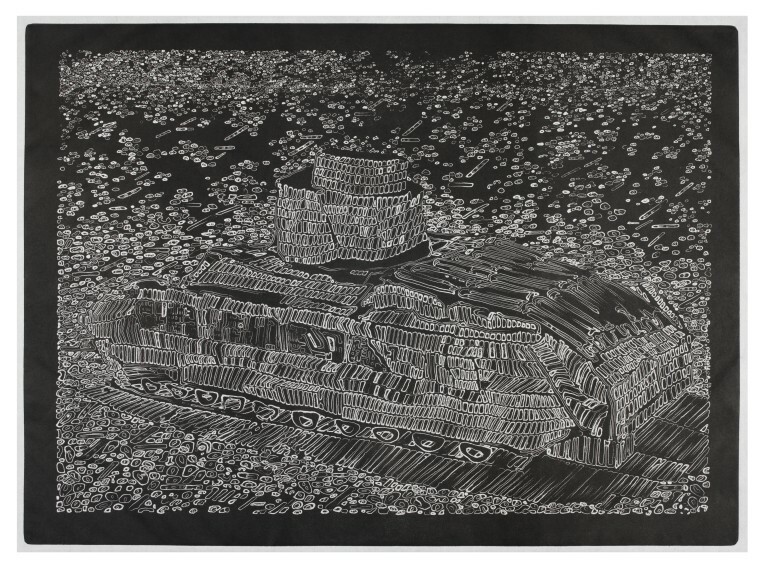 In this series Dixon is clearly interested in the nature of perception and in optical illusion, and camouflage is an effective vehicle for this exploration. 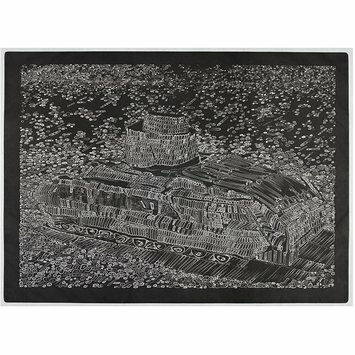 Tanks and armoured vehicles are often camouflaged, by painting them with abstract patterns, or by veiling them with nets and attaching natural materials - mud, sand, leaves - or mirrors, to break up the outline and deceive the eye. 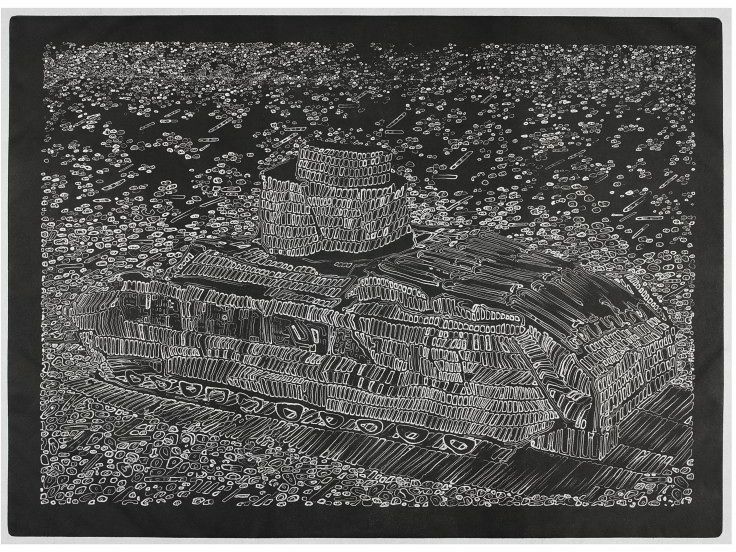 In these prints the solid mass of the tanks is transformed into a fragile shimmering skin. They not only represent the gap between seeing and believing, but they also become metaphors for the precariousness of strength, and for the inherent vulnerability of the body beneath its armoured carapace. A sense of scale is deliberately excluded - these could be models, or life-size. They could even be citadels, turreted and defended, or abandoned ruins of a lost civilisation - and read in this way they offer an oblique comment on the futility of territorial ambition and war. They also make us think of natural forms such as shells, termite mounds, wasps nests because they seem to grow from their surroundings. In the ways they are drawn it is as if the marks themselves have collided and coalesced to build an organic structure.